THOT Members provide 63% of all hospital based residencies in Texas. 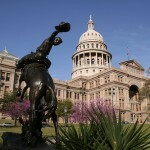 These residencies are crucial to maintaining and building the health care system in Texas. See below for more information. Health Aff (Millwood) Author manuscript; available in PMC 2014 November 1. Texas has a physician shortage. Supporting an adequate number of graduate medical education residencies in Texas is a key part of increasing the number of physicians in Texas. Residencies are a crucial, clinical component of medical education. But, there is a projected shortage of GME residencies in Texas meaning our medical school graduates will need to complete their residencies out of state. When Texans graduate from a Texas medical school AND complete their residencies in Texas, there is an 80% chance they will practice in Texas. When they do only one or the other in Texas, there is less than a 60% chance they’ll practice in Texas. And, Texas spends at least $180,000 of state funds for each Texas medical school graduate. When those graduates go out of state for a residency and don’t come back, we lose more than $180,000 in Texas funds invested in that physician. And that doesn’t count Texas funding for grade school, high school and college. The costs to pay for one year of residency training are estimated to be at least $150,000 per resident per year. Medicare, the largest funder for residency programs, pays for fewer Texas residents and pays less for Texas residencies than it pays northeastern states. Medicare pays for 202 residents per 100,000 population in Washington DC, but only for 18 GME residents per 100,000 population in Texas. 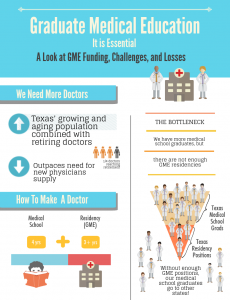 While Medicare pays Connecticut $155,000 per resident per year for GME residencies, in Texas, Medicare pays an average of only $65,500 per year for the residencies it does pay for. 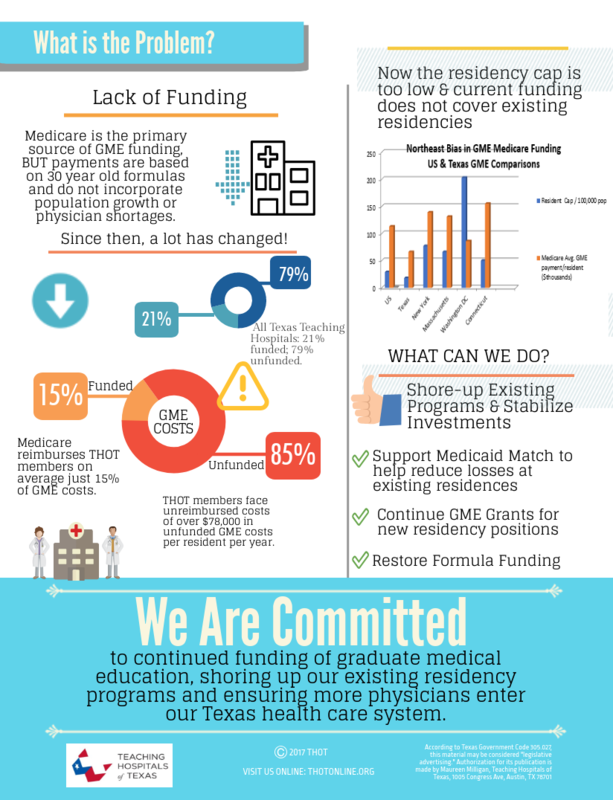 As a result, Texas’ teaching hospitals face significant unfunded costs for providing graduate medical education. The direct costs of residencies in Texas averaged about $89,000 per resident per year. For those residents it pays for, Medicare pays on average about $21,600 per resident per year for direct costs, leaving an average of unfunded direct GME cost of more than $67,000 per resident per year. For residents receiving no payments from Medicare, those unfunded costs are $89,000. Costs for Medical School faculty to teach residents are also underfunded. 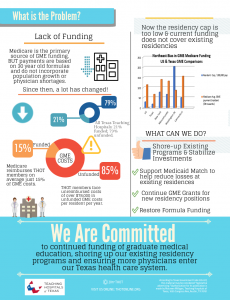 Average medical school costs are about $18,000 per resident per year; formula funding provides a little over $6,000 per year leaving medical schools on average with unfunded costs of nearly $12,000 per resident per year. To keep our investment in the health of Texas, Texas needs to support existing residency positions and costs, as well as support new residency positions. Please contact the THOT site administrator at THOT@thotonline.org with questions.